Carmatec offers you various DevOps services through its InstaEdge program to help you kickstart your DevOps journey. With 14 years of industry presence across multiple verticals, we are well positioned to offer customized solutions to each of our customers. Do get in touch with us to learn more. InstaEdge brings an edge starting from your ideation state to the final launch of products. A full fledged plan which envisages cross-departmental collaboration, architecture & environment design. Setting up processes and a solid workflow for continuous delivery and deployment. This helps you meet the reliability and quality expectations of customers. 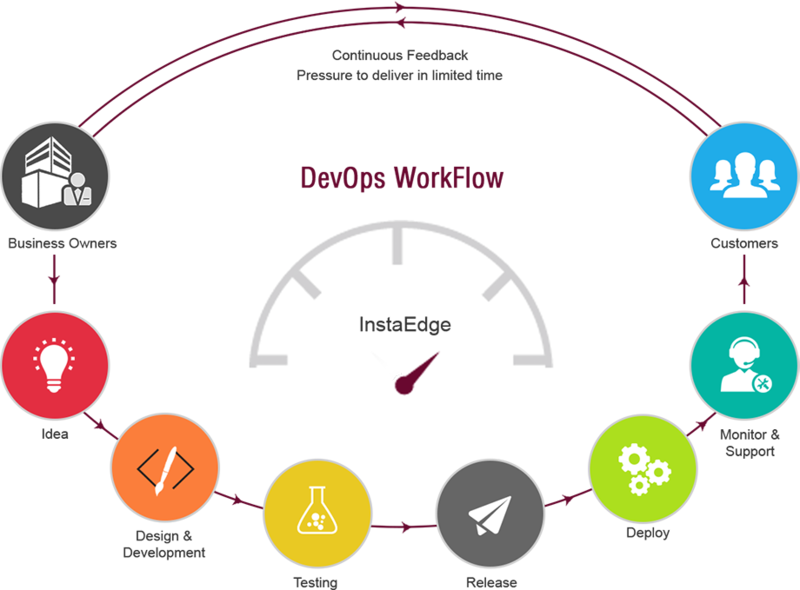 DevOps team is continuously engaged with the ops team throughout the lifecycle of the application that is continuously tested and deployed. Using configuration management tools like Puppet, Chef and CFEngine. Performance and stability is a vital aspect of quality. We have skilled and certified IT professionals who can monitor and support your DevOps environment and applications. Incident management, event-service-process log monitoring using advanced performance logging and monitoring tools like Logstash, New Relic, Nagios etc. With 14 years of industry experience and exposure to diverse areas in IT and software development, Carmatec has positioned itself as a mature organization which walks the talk and provide customized, end-to-end solutions.